What good is a university education? What good is a university? Economists think a lot about goods, and the classifications of them can shed some light on the present state of Irish higher education. We can think about goods in several ways. All are useful. This entry was posted in Blogpost and tagged Academia, credence good, education, experience good, free rider, ireland, research, tragedy of the commons, universities on May 11, 2014 by brianmlucey. Can we really measure research supervisory quality? Research metrics are fraught with danger. Usually they are dangerous when they are abused. We can measure the citation history of a paper but that tells us little beyond its citation history. We can measure raw output but that tells us simply how busy someone is. We can measure lots of things but they are all limited in some way. Measurement limitation does not prevent university administration from seizing on metrics and using them appallingly. I recently was informed of an Irish academic unit where papers published in journals that are not in the ISI Web of Science are not allowed to be used as part of any promotion or other college activity. They are un-papers. This is stark raving lunacy, but it shows how dangerous a simple metric can be in the hands of the ignorant. This entry was posted in Blogpost and tagged Academia, academics, bibliometrics, citation analysis, economics, higher education, research, research impact, universities on April 26, 2014 by brianmlucey. “Clearly, the education system fulfils a vital role in society that extends well beyond the utilitarian one of satisfying enterprise’s needs for skills or research. Universities are obviously a vital public good, making a crucial contribution to the intellectual, cultural, social and economic well-being of the country…we should not view the requirement for workplace skills and the cultivation of the intellect as some zero sum game”. This statement comes not from any starry-eyed academic in an ivory tower, nor even from the recently formed campaign to defend the Irish University from ‘commercialisation’ (http://defendtheuniversity.ie). Rather, this stirring call comes from IBEC, specifically Tony Donoghue IBEC’S Head of Education and Innovation Policy at a conference held at DCU a couple of years ago. Yet the dominant discourse in the media, business circles and most university administrations is for the need for universities to orient more or less exclusively to ‘business needs’. This elides into the need for a more ‘enterprising’ university. Both demonstrate an (wilful?) ignorance of what it is a university does and can do. It is reductionist in the extreme, seeing the sector as having only one role – to provide training for the de jure demands of the business sector that shouts loudest. What lies behind this new orthodoxy which no longer sees the university as a public good? In what ways can and should universities be responsive to business needs? We must first distinguish between diverse domains; such as applied research in advanced technologies, upskilling, student placements and so on as they are all very different. Universities and businesses occupy particular spaces within society. Both, we suggest, would be seen in a positive light were they to be seen as working for the betterment of society at large. Few working at universities would have a problem with a whole range of interactions with business. It is a well-established practice to have placements in ‘industry’ whether for business studies students, or those in engineering or computing. Research collaboration with industry, for example, in the biomedical area might make sense so long as full economic costing was applied. Engagement in these direct senses with industry in the arts and humanities may be more distant, but that does not make these areas of study are less valuable to society. Recent UK research suggests that three years out more Social Science and Humanities graduates are in paid employment than their STEM compatriots. Most people at universities would like to be seen as ‘enterprising’ but that does not mean we are all budding entrepreneurs. Innovation and entrepreneurship is something we are, or are supposed to be, all in favour of fostering. But there is a lamentable lack of clarity on what this means in practice. Universities are expected to foster and support innovation and enterprise with time, money and materials, diverting these from existing teaching activities already under funding and staffing pressure. It is as though through a sleight of hand research became innovation, then innovation became entrepreneurship, and now entrepreneurship becomes working for the private sector. Universities are complex organizations. Aiming them at the demands of the market alone suggests a misconception that they are, in essence, aimed at private gains by individual graduates and companies. But the reality is that university education creates both a public and a private good. University education is complex. It has boundaries on how many can be admitted at any given time and thus the provision of education services is excludable. Within these boundaries, however, it is mostly non-rivalrous, in that each student can obtain their education without detriment to others gaining theirs. However, the outcomes of a university education, such as a more skilled workforce, and a more literate and critically engaged population are closer to public goods. Until we have a public debate on how to deal with these two elements at the same time we will continue to flail around. One thing we know from decades of economics is that it is not possible to regulate, manage and evaluate goods which are of different types as though they were the same. That is what some are trying to do in higher education and it is bound to fail if it does recognise the complexity of the business we are in. There are, thus, clear limits to what universities can, or should, offer the business world. Educators not entrepreneurs have to write the syllabus. Business persons have a role, via their membership of society, but no more and no less than artists or the socially excluded. Universities cannot offer cheap intellectual labour paid by public funding to build private profit margins. They cannot just create entrepreneurs even though they might, of course, provide skills and techniques for successfully driving a business. Indeed the skills needed to manage businesses are those that a well-funded, well- managed, well- structured university would provide to all students – perseverance, analytical capacity, resilience and inquisitiveness. Students in modern universities develop these and more, such as skills on knowledge acquisition, in information processing and interpersonal skills. It is up to business to provide the specialist training it requires after that. In the public or voluntary sectors other specific skills will be learnt on the job as well as building on some basics gained in education. Universities must serve society as a whole and not a particular sector. Chasing what may be myopic sector specific skill shortages in private enterprise with public money is not education Nor is engaging in what may be a Faustian pact whereby universities, producing public goods, become dominated by private interests through funding lines emergent from private enterprise due to a fall-off in public investment. A long term view would lead us to more structured engagement between universities and the business world which also acknowledges, celebrates and respects the different purposes of both. Universities are not business incubators and they are not beacons of innovation. They simply do not have the capacity to deliver an either front. But then we need to ask what it is that universities provide if they do not simply exist to fulfil business needs. Put simply, for a business the much talked about bottom-line is profit. Yet today it is widely accepted that there is a triple bottom line: economic, social and environmental. Universities necessarily take the long view (they have been around for quite a while) and need to think in terms of social sustainability and not just the annual balance sheet. Business needs are part of that calculation but there are other interests at play. Civil society embraces not just business but also a whole range of community, cultural and social interest groups. For example universities could engage in a debate around Ireland’s national development prospects in which business would play a key role but other social interests would also need to be involved. Universities best serve their purpose- and also business needs- if they have a strong sense of independent thinking and promote healthy debate on key issues of the day. This entry was posted in Blogpost, Journalism and tagged Academia, economy, education, innovation, research, universities on December 19, 2013 by brianmlucey. So, the Research Excellence Framework of the UK is coming closer, with end December 2013 as the cutoff date. There are many many flaws with the REF but my perspective is that some measurement of research activity is better than none. And none is what we have here in Ireland. Leicester has suggested this and now Swansea management school is doing the same. They suggest that people who do not achieve a certain standard over the period will be required to teach up to 18h per week. Recall – an academic in a university is tasked with teaching and research. It seems to me very reasonable that if you are not doing one you should do the other. An 18h class contact is a full weeks work when class prep and student feedback is taken into account. The hurdle proposed is that over the 5 years people should have published 4 papers or more in journals ranked as 3* or 4* in the Association of Business Schools’ International Guide to Academic Journal Quality. Thats 3/4 of a paper per year. This is not exactly an academic matterhorn. And yes, there are of course rebates and so forth to take into account maternity and parental leave, illness, personal circumstances etc. Bear also in mind that this comes after two previous measurement exercises, so academics in the UK are well aware of the need to produce. We could do with something similar here. Flawed as it might be, the paper by Richard Tol shone a light. There are a tail of academics in Irish business schools across all schools who are almost or completely research inactive. The situation in other schools and disciplines in social sciences and humanities is unlikely to be any different. In the sciences it is harder but still possible to exist even within a research intensive university and not publish while not carrying a larger than normal teaching load. 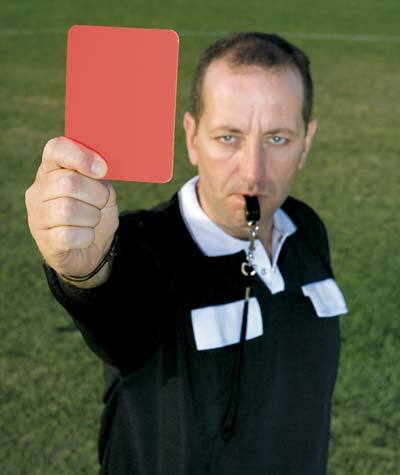 We might well consider some form of REF-like activity for Ireland. Excellence in teaching should be rewarded ; but activity in teaching is expected of all. Why should research be any different? Why should some people in effect free ride on the research of others? Why should some people not do any publishable research at all? Why, in effect, are some allowed to skate over an integral part of their job? These are questions the implications of whose answers would be to cause severe discomfort to some. But that does not make them invalid. Lets start by looking at business schools and disciplines (including economics). Lets start gently and define as research active only those that have published 4 papers in ANY ABS ranked journal over the last 5 years. What would we find? The Irish economy: Three strikes and you’re out? Lunar seasonality in precious metal returns? An analysis of forward exchange rate biasedness across developed and developing country currencies: Do observed patterns persist out of sample? This entry was posted in Blogpost and tagged excellence framework, journal quality, measurement, REF, research on September 5, 2013 by brianmlucey. Journals, for good or ill, represent the preeminent mode of scholarly communication. Publications count, in tenure, research evaluations and as a metric of research activity. Despite alternatives emerging such as post hoc refereeing, the double blind reviewed journal retains its gold standard, and will do for many many years. Although there are many journals, the scope, breadth and depth of finance continues to expand. So today we see a new journal. 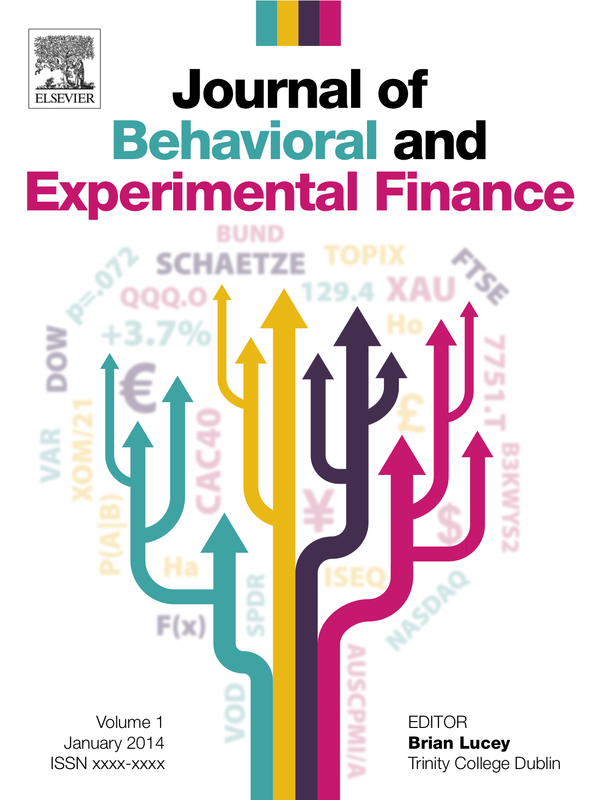 The Journal of Behavioral and Experimental Finance is aimed at providing authors in these fields with a high quality outlet. There is at present no state of art high-level publication where one can go to obtain up to date examples of quality work in the areas of experimental and behavioral finance. The field is scattered. Bringing it together will, we can hope, act as a useful resource for scholars, both those active in the field and those interested in how the area impacts. There are many high quality existing journals that cover experimental economics or behavioral finance but none that act as a natural locus for both. Experimental finance in particular is growing, with the Society for Experimental Finance having been established in the last number of years. We believe that creating a journal that is open to experimental treatments of finance subjects will, we hope, generate interest in carrying out such. At this juncture we see behavioral and experimental approaches as lenses or methodologies through which to view issues and as such the journal will allow a broad perspective on an increasingly fragmented field. At the limit I agree wholeheartedly with Thaler. I predict that in the not-too-distant future, the term “behavioral finance” will be correctly viewed as a redundant phrase. What other kind of finance is there? In their enlightenment, economists will routinely incorporate as much “behavior” into their models as they observe in the real world. After all, to do otherwise would be irrational. We might add to this that finance, as a cognate discipline to economics and accounting, must adopt more scientific approaches to its investigations and must adopt a broader methodological perspective. Economics has seen major advances in adopting experimental approaches and finance is fast doing so. This can only assist in the rigor of our researchers. We are not yet at that shining city on the hill which Thaler saw in 1999, but in the interim I hope that this journal will aid in moving us towards it. Some may well suggest that we have enough journals, and why start one especially as the top papers will always go to the top journals. A number of points need to be made. First, the existence of better (whatever that means in this context) journals does not make redundant the existence of others. That we have the Sistine Chapel does not make further paintings irrelevant. There is scope for quality product which for whatever reason does not get into or fit the top journals. Second, no journal is born ‘top’. Establishing a journal is an act of calculated business and hope. The business is that there is a market, the hope is that the board and the authors will drive forward the reputation of the journal to everyone’s advantage. That I intend to do to the best of my ability. Third, in this case there is a clear gap in particular in the experimental area, and that gap deserves to be filled. Also, while there are excellent journals in the behavioral finance area there is none from Elsevier, who have a stable of already top-flight finance journals and the publishing, publication and editorial network to support this new venture. The idea for this journal had been discussed amongst a number of persons, both in Elsevier and in the academic community, for about 18m. In February I was asked to put a formal proposal to Elsevier, which I did. This contained the usual things one would expect – details of existing complementary or competing journals, papers published that might perhaps fit the journal, learned societies and conferences in the area, main loci of research etc. The initial response was good therefore we proceeded to get together a draft editorial board (see below) and a more complete proposal was put to Elsevier in April. This was approved in June and we have spent the summer refining the details of the guide for authors, the peculiarities of how we want papers submitted etc. This is and will always be a work in process – as an Editor I have come to understand that there is no right way to guide a paper other than to say “highest quality possible please”. Submission minutiae are important but are secondary to that. In short, expect changes as we engage with the process of generating papers from submissions. The aim of the journal is to publish high quality research in the fields of corporate finance, asset pricing, financial econometrics, international finance, personal financial decision-making, macro-finance, banking and financial intermediation, capital markets, risk management and insurance, derivatives, quantitative finance, corporate governance and compensation, investments, market mechanisms, SME and microfinance and entrepreneurial finance, where such research is carried out with a behavioral perspective and/or is carried out via experimental methods. The area of behavioral finance and the related area of experimental finance are now fully accepted as mainstream approaches within finance. Behavioral and experimental finance therefore represent lenses and approaches through which we can view financial decision-making. The journal aims to provide a single source for the latest research in these areas. It is open to but not limited to papers which cover investigations of biases, the role of various neurological markers in decision-making, national and organizational culture as it impacts on those organizations financial decision-making, sentiment and asset pricing, the design and implementation of experiments to investigate financial decision-making and trading, methodological experiments, and natural experiments. Although primarily empirical, we will be more than open to theoretical and methodological papers which cast light on behavioral and experimental topics, as well as to meta analyses, surveys and overviews. Where is it and who is involved? The journal site is here at and papers can be submitted here. The Editorial Board at present consists of the following, but we are actively seeking other persons. Kim, Kenneth, Renmin University, Beijin, China. This entry was posted in Blogpost and tagged Academia, academics, behavioral finance, business, education, experimental economics, experimental finance, finance subjects, research on August 26, 2013 by brianmlucey. So, along with some UK colleagues the Finance group in TCD have gotten a grant from the ESRC for a seminar series on managing people risk. All to often we get concerned about structuring systems that cant fail to find that they do because someone somewhere messed up. The software and hardware do not matter if the wetware is deficient. The plan is as below… more details will emerge later. 1. Existing knowledge, contested approaches and future developments Nov 2013, Nottingham (University of Nottingham) Aims to map the terrain of existing research across different disciplines, identify consensus and conceptual tensions whilst building on an academic agenda for cross disciplinary research. 2. The place of ‘Key employees’ in health and aviation: theory and practice Feb 2014, Glasgow (Glasgow Caledonian University) Aims to examine the challenges for research and practice in ‘people risk’ within the domains of aviation and the health sector. 3. Financial services, financial markets and ‘people risk’ regulation Jul 2014, Dublin (Trinity College, Republic of Ireland) Aims to critically analyse the internal and external controls frameworks in the financial services environment. 4. 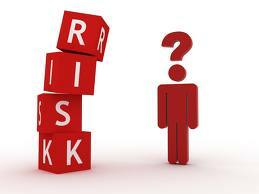 The role of ‘people risk’ measurement: applied behavioural economics & HRM Sept 2014, Berlin (WZB University, Germany) Aims to examine the potential for engagement from human resource management research and applied behavioural economics as controls and measures of ‘people risk’ within the firm. 5.Human factors & best practice: Cross-fertlisation in research & industry Feb 2015, Nottingham (University of Nottingham) Aims to examine the theoretical underpinnings of human factors analysis and its reserach applications to the marine and rail industries. This entry was posted in Blogpost and tagged research, science on August 1, 2013 by brianmlucey. Four words that strike terror and despair into the hearts of all academics : “oh, I googled it”. Im serious. Lets consider for one term a ban on google search facilities from university domains. This entry was posted in Uncategorized and tagged google, research, universities on June 23, 2013 by brianmlucey.